We all have our own signs of spring that we watch for -- warm breezes, trees in bloom, daffodils opening, violent allergic reactions to every little thing in the air. 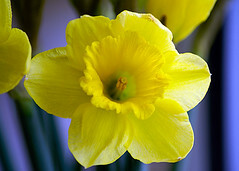 This weekend, while temps were approaching 80 degrees in Raleigh (good-bye February! ), I added a new favorite sign of spring to my list: The first Sunday of the year driving with the top down and all four of us in the car, the fresh scent of biscuits drifting up from our to-go bag, with everyone singing "Molly the Moose" at the top of our lungs. A perfect Sunday for the Convertible Family -- and a perfect way to welcome spring! Note: I couldn't find an audio clip to link to that actually plays this part of the song, but you can order the CD here. And you really should, because it's awesome. More presents yesterday and today, plus a couple of leftover cupcakes -- it's been a fun, busy week around here for Pippipalooza. Not sure how she'll handle going back to regular life. And yes, she's lotioning her hands with cupcake icing at preschool in that photo. What's in a Shoe (May 12, 2010): Pippi's grandmother sends her stripper shoes. And she LOVES them. Like Mother, Like Daughter (June 16, 2010): Pippi gets her first haircut, and it's sassy. Saturday Strategery: When Your Toddler Makes Carpet Parmesan (July 25, 2010): Pippi is not afraid to make a mess in her room. Back Away from the Candy (Nov. 2, 2010): Pippi says sweet things, but isn't afraid to threaten anyone who might steal her m&m pile. Clean Up, Clean Up, Everybody Do Your Share (Nov. 6, 2010): Pippi "helps" me clean up while wearing a belly ring and doctoring Elmo. P.S. There are also several Wordless Wednesday posts that really captured Pippi's personality, but I decided those shouldn't count here. It's my blog, so I get to make the rules, right? Since I was a kid, people have always commented on how much I look like my mom. When I hear that today, I consider it a compliment. But as a teen-ager, I never knew how to respond. I think it bothered me because I was trying so hard to be me -- whatever the hell that was supposed to be -- and didn't want to be seen as a duplicate of my mother. Now that I'm a mom, I love when people say that Pippi looks like me. She doesn't really -- she looks a lot more like her brother and her father -- but given that she's stop-in-your-tracks beautiful, it's still nice to hear. What surprises me more than the fact that she doesn't look like me is that she doesn't act like me in a lot of ways. At age three, she's already more independent and confident than I was (or maybe am) growing up. Tiger Lily: Lately we've been watching the stage version of Peter Pan (with former gymnast Cathy Rigby -- don't judge, it's actually very sweet) over and over again. I remember identifying with Wendy Darling as a kid, and even today I'm probably more like her mothering character than any other in the story. Pippi's favorite? Tiger Lily, who in this version is a toned-muscle, dancing machine and fearless leader of her tribe. Lead singer: When my husband and I met, one of the random things we discovered in common was our secret desire to be back-up singers. For me, at least, I'd rather not be front and center -- but still get a sparkly outfit and some fun choreography. Pippi's preference? She wants the lead microphone. Or if not that one, she wants the mic at the drum set -- she's already got a pretty rockin' "One, two, three, four!" 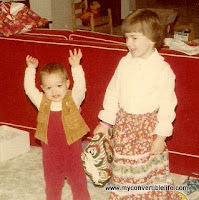 Getting dressed: Junius wore whatever I put on him until he was at least four years old. Pippi? Notsomuch. For about a year now, she demands to choose her own outfit. Most days she insists on dresses (which I respect, being a dress fan myself), but usually temperature-inappropriate dress. As in, sleeveless sundress on a rainy 45-degree day -- and fighting me tooth and nail about putting on a shirt and leggings underneath. Today's outfit was at least weather-ready, but otherwise questionable -- the photo above is her at Juni's bus stop this afternoon. She's decked out in a striped dress (which is actually a 2-sizes-too-big nightgown), cowgirl boots (a given, most days), her "sport coat" (as she calls it) and her new umbrella. Oh, and six ponytails. The party continued today -- presents in the morning, cupcakes at preschool, cupcakes at a friend's house, Chick-Fil-A dinner with more friends. Being three is so much fun that she's not even complaining (much) about having to give up her pacie. So yes, she's turning three and we're finally enforcing the no-pacie rule. I know we should have done it sooner, but we weren't ready to rush her out of being a baby. Pippi is both second child and last child. I'm okay with being done, but I didn't think it would go by so fast. And with the second child, it all moves so very quickly. But it's also less stressful and, in some ways, easier to remember than the first time. I actually think back fondly on Pippi's early weeks, even with the exhaustion and the c-section recovery -- and that's really saying something, given that we sold our house, husband started a new job, we moved in with my parents, we bought a new house and then moved to Raleigh all within her first four months. On the scales: In that picture above, Pippi doesn't look too happy. Downright furious, in fact. But at that very moment, I was thrilled -- because I could actually see her. When Junius was born, they whisked him away as soon as the doctor wrestled him out of me -- meconium and all sorts of mess. With Pippi (at a different hospital), the nurses weighed her and cleaned her right beside the operating table -- so even though I couldn't hold her close, I was still present for those first moments. Nursing before bed: Because the rest of our home life was turned upside down during those first months, I treasured tiny moments of peace to snuggle with Pippi. Once we moved in with my parents (bless them), I'd sneak upstairs to nurse her before we put Junius to bed. Just Pippi and me in the half-light of early evening, nestled into my parents' enormous bed listening to the muffled sounds of busy life from downstairs. It was only 30, maybe 45 minutes -- but it was still our peace. When Pippi was born, her father (being a true PR man) wrote and distributed another brilliant press release announcing the big event. I've changed the names to reflect those used on this blog (in place of our surnamed "company," MCL stands for My Convertible Life), but I just had to post it here, three years after it's initial release. Apologies for the repeat to those of you who saw it the first time around. Happy birthday, Pippi -- we love you! Greensboro, N.C. – MCL announced today the creation of a women's lifestyle division focusing on female infant and toddler mystique. The announcement was capped with the introduction of its newest brand, Pippi Punkin. The Pippi Punkin brand is a refreshing break from the crowded tiny tot market adding brilliance, color and burp to even the most casual of daily activities. MCL already dominates the boys' toddler lifestyle market with its wildly popular Junius brand, introduced in summer 2005. "Pippi Punkin is a powerful, progressive brand bringing inspiration and action to the infant and toddler world. She's on-trend and off the charts – we're excited to watch her grow," said Daddy, partner and co-founder of MCL. The Pippi Punkin brand is distinguished by brown wavy hair, slender fingers and a slightly curved crease just below the bottom lip. The new brand will draw from the strong MCL heritage with a point of view that's radical, sincere and fun. The name represents a combination of MCL family names. Her first name was a great aunt in her mother's line, and her middle name is a derivative of her father's maternal family name. Her first name means "clear, bright, famous," while her middle name means "one who uses a cart." The firm expects to the brand to become an archetype for smart, trendy female celebrities who like to shop. Dr. KR, of OB-GYN Associates, consulted on the development of the brand and led all launch party planning and activities. A superior team of nurses and medical professionals provided tactical assistance, support and high quality pharmaceuticals throughout the day. "Pippi Punkin is the perfect complement to our well-established Junius brand. We've worked hard to build a reputation as innovators in the infant and toddler market, producing quirky kids filled with personality and charm," added Mommy, partner and co-founder. 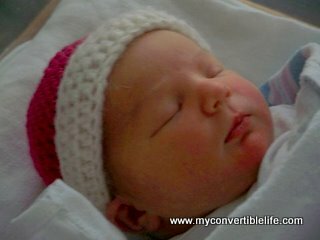 Pippi Punkin was launched at Hospital on February 22, 2008, at 11:25 a.m. Delivered by a well-planned and well-executed Caesarian procedure, she weighed 8 pounds and 5 ounces and measured 19.25 inches long. MCL was formed in 2001 with the merger of Convertible Girl and the Spin PhD. This week, we'll be celebrating Pippi's birthday. All week -- because you're only three once, right? We had a pool party with friends yesterday -- not your typical February party, but it was indoors in a nicely warmed pool. Pippi twirled around in her new ballerina swim suit and thoroughly enjoyed life at the exact center of the universe. Tomorrow, we'll party at gymnastics. On Wednesday, we'll party at preschool. On Thursday, it's a holiday! And Friday, well, I'm sure we'll find another way to celebrate. So in honor of her third year, I'll be writing three-item Pippi posts. She may be a second child, but I'm still trying to give her equal billing with J-Fest 2010. Singing: This girl sings. All the time. It's kind of a problem at church because she keeps on singing after the song is over, then grins as her solo floats up into the Cathedral. But I love listening to her sing in the car, in the bath, in her bed, in the grocery store. She sings songs from school, songs from our CDs, songs she makes up as she goes along. Sometimes she sings a little narration along with whatever she's doing, like her own operatic recitative. I often wonder how old she'll be when she stops -- I hope it's not any time soon. Laughing: If the power plan discovered by Sully and Mike in Monsters, Inc. actually worked, we could power all of Midtown off Pippi's laugh. I try to take video clips of her while I'm tickling her just so I can play back the sound on a bad day. Even as a baby, she had this whole repertoire of laughs -- and I never get tired of hearing them. Voicemail: Once in a blue moon, Pippi leaves me a voicemail. She says, "Hi Mommy. I was just calling to tell you I love you. Okay, bye! See you later." I got one of those messages today while I was at work. Totally melts my heart. Then I save it, so I can melt again. A singing, laughing girl who leaves mushy voicemail messages. She's going to continue to be popular at parties, isn't she? Last week I wrote about five great places to getaway that are still close to home (assuming, of course, that your home is in central North Carolina). This week, I'm wishing I were at any of those places. and the hole in the floor with insulation spilling out. Guess who's eating out for the next week (or more)? 1. The beautiful, cushy bed. I love the way posh hotels make the beds with a fitted sheet, top sheet, duvet and a second top sheet. Everything feels all velvety crisp and expensively snuggly. 2. The turn-down service. How lovely to come back from dinner and find my newly fluffed bed (see #1) with two glasses of port and two locally handmade chocolates on the side table. Perfect ending to a wonderful day. 3. The Mac/TV combo. We don't have a television in our bedroom at home -- both of us prefer it that way. So it's a total luxury to sit in our hotel bed and watch TV. Even better? Having a wireless Mac connected to the TV so that we can watch last week's "Community" episode from nbc.com. 4. The homemade granola. The inn's tasty breakfast included eggs, bacon, grits, pancakes and an assortment of fruit, muffins and cereal. But the best part was the homemade granola that I took back to our room to have with yogurt later in the morning. 5. The soft robe. Yes, I have my own bathrobe at home -- it's pink flannel and I really like it. But there's something special about a smooth, white hotel robe after a hot shower that didn't include interruptions from any small children. 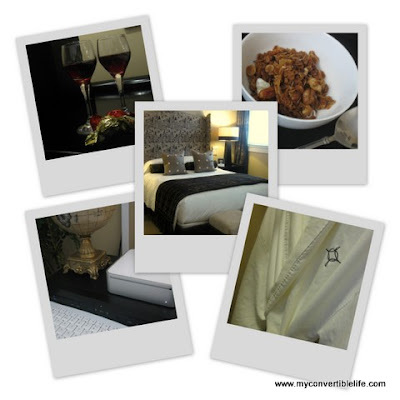 What's your favorite special touch that makes staying at a hotel or inn absolutely perfect? How do you know when it's time to move your toddler out of the crib and into a big bed? With Junius, we knew it was time because I was pregnant and needed a crib for his baby sister. 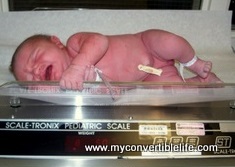 Plus, he never slept well in the crib anyway, so it was no great trauma to move him. 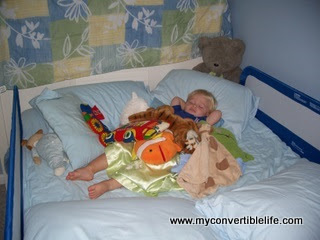 We put him in a double bed with rails for the first time when we were at the beach, just after he turned two. He promptly buried himself under his blanket and friends and went to sleep. Just like that. With Pippi, it's a different story. She always slept well in her crib, at least compared to her brother. And she was contained that way -- good both for timeouts and for letting her sing herself to sleep at night without worrying that she was roaming around in her room. I was in no rush to move her, as long as she could still fit in the crib. I figured we'd wait until she turned three, then transition her so we could pass along the crib to our friends who are expecting their first baby in March. So how did we know we needed to move her? She told us. As in, she turned to me one night after Christmas, looked me straight in the eye and said in her most dramatically serious voice, "It is time, Mommy. It is time to give my crib to Molly." Cue knife to Mommy's heart. Step 1: Wait until you need the crib for someone else or until your child announces that she will no longer be sleeping in the crib. Feel sad. Step 3: Make a "bed" on the floor out of blankets and pillows. Repair the nest during the night as your toddler wiggles and rolls around so that she doesn't end up sleeping on the carpet. Talk a lot about the importance of staying in your bed ALL NIGHT and not getting up. You can also take the mattress out of the crib and set it up like a bed on the floor. Step 4: Clean up the nursery so you can take pictures of how adorable everything looked when your baby girl was still a baby. Notice suddenly how very big and tall and slender she is. Take a deep breath. Step 5: Take apart the crib and set up the real bed. Add bed rails and load it up with friends, blankets and pillows. Talk some more about the importance of staying in bed ALL NIGHT. Snuggle up with your big girl and be thankful that a) there's enough room for you and b) she's still got that stinkin' pacie so at least she's not all grown-up just yet. Before we had kids, my husband and I took romantic trips to places like South Beach (FL), Charleston (SC, not WV) and Paris (France, not Texas). After kids? Not so much. In fact, I'm ashamed to say that my passport is still expired. But even though it's been years since we took a big trip together, that doesn't mean we haven't planned a getaway weekend here and there. We've just shifted from focusing on the destination to simply being-together-not-at-home-with-kids. In order to maximize our time away and minimize the time we spend traveling, we've taken some lovely overnight trips to such exotic locales as (are you ready for this?) Pittsboro, Chapel Hill and Durham. Yes, that's a whopping 35 miles (or less) from our house. I know it sounds crazy, but just leaving the kids at home with the grandparents while we sneak away for 24 hours is a marriage-saving luxury. We eat out for lunch, dinner and breakfast. We nap. We sleep in. We (gasp) talk to each other. We finish WHOLE SENTENCES without being interrupted. We maybe go to a movie or do a little shopping. We even spend a some quality time being naked together. Then we go home to our beautiful children, much happier to see them because we've been away. They're so happy to see us, too -- but they also get a great time with their grandparents. It's really a win-win-win for all involved. The Fearrington House Country Inn: We stayed at the award-winning Fearrington right before Christmas when Junius was still an only child. It was my first night away from him in his whole 17-month life -- and it was just what everyone in the family needed. The restaurant is fantastic, so you don't need to drive anywhere. Be sure not miss out on the afternoon tea. The Franklin Hotel: We stayed at the Franklin in November 2009 -- and yes, we sing the beginning of Nick Jr's "Franklin" theme song every time we talk about it ("Hey, it's Franklin..."). Being a UNC alum (twice), I'm always happy to spend a weekend on the Hill. But more than that, the Franklin is a beautiful, classy place to stay. Plus there are great restaurants in easy walking distance, so you can leave the car in the garage and not deal with downtown parking. The King's Daughters Inn: We stayed at the KDI (as they call it in the materials) last weekend thanks to a Living Social Deal. Although I'd normally be a little jittery so close to Duke's campus (see double-UNC alum, above), I really liked the inn. Again, lots of great restaurants close by -- although we ended up driving to dinner because it was cold and rainy. More details in next week's post. Renaissance Raleigh North Hills Hotel: I actually stayed at the Renaissance with a friend for a mom's getaway -- but it would be a nice place to go with my husband sometime, too. It's less than two miles from my house, yet I could have been 200 miles away given the bizarre feeling of freedom to see an afternoon movie, enjoy a leisurely dinner, wander around shops and visit with my friend. The Renaissance Hotels are Marriott properties, but more upscale than the average chain hotels. Front Street Inn: This is the only place on my list that's not in the Triangle -- but Wilmington is an easy 2-hour drive from Raleigh. With quirky rooms and a view of the Cape Fear River, the Front Street Inn is located in the historic district, offering easy access to restaurants, shops and antique stores. So the next place on my list? The Umstead Hotel and Spa. I haven't even been inside yet, but everything that I've read and seen about it looks glorious. If we can't get back to Paris for our 10th anniversary this fall, maybe we can just pretend by enjoying the luxurious life at The Umstead and spending a morning at the NC Museum of Art. How about you? What's your favorite overnight getaway location? Note: As always, none of the places listed here offered me any sort of compensation for writing this post. However, I'm happy to accept a coupon toward my next visit if anyone would like to send one. Pippi takes her cookie decorating very seriously. and the total excess of orange gel on that one cookie. Wash. Dry. Fold. Put Away. Repeat. Repeat. Repeat. This photo shows you what my clean, freshly folded laundry looks like. Can you tell that I worked retail in high school and college? But the real genius of this photo isn't in my ability to fold shirts as if they were wrapped around a clipboard (without actually having to use a clipboard). It's the location of these shelves. I'll give you a hint: it's not my closet. This is my new, brilliant idea for reducing the number of steps in the laundry process. Maybe you're better at laundry than I am. But more often than not, I get all the clothes washed and dried, most get folded (eventually), some get put away in dressers and closets (occasionally). And nearly every time, there's one straggler load that languishes in the dryer, where the rumpled clothes lie completely forgotten until the next round of laundry cycles through. But these shelves? They could change everything. No, they're not magic. They're in my family room. These shelves are part of the beautifully remodeled wall in my family room, which is conveniently located beside my laundry room. I'm thinking that if I just designate certain shelves to each family member, then I can fold and store all our clothes in here. That way nothing has to get carried upstairs, nothing has to get put into drawers -- and when I'm rushing the kids to eat breakfast and get dressed before school, everything will be right there where they can see it! Plus, it will provide seasonally accurate decorations for the room -- as our wardrobe moves from winter to spring, the colors in the bookcases will adjust accordingly (note the Christmas jammies in the photos). The only real flaw with this plan? Where am I going to put all my books? My husband has this great smoothie recipe -- he was already making them every day when I met him, so I give him full credit. He named the concoction after his very sweet dog and the three types of berries in the original recipe. As a girl who loves breakfast, I couldn't help but fall in love with a man who had his own special morning beverage. And when I was pregnant, it was the perfect second breakfast (just after breakfast and before elevensies, of course). We make one most every weekday at our house and divide it up between two stadium cups and two smaller cups with straw lids. We've tweaked the details a bit along the way, but the substance is still the same as it was 11 years ago. The family that smoothies together stays together, right? And there's no tastier way to stay regular and healthy, trust me. When we got married nearly 10 years ago, we got a blender as a wedding gift. It survived about a year or two of smoothies. We replaced it with another regular blender that lasted two more years. After six faithful years and somewhere in the ballpark of 1,500 double smoothie spins, our bar blender finally quit last week. Full of unblended smoothie ingredients, of course, but I really couldn't complain after all those years [see photo]. So what did we do? Promptly went online and ordered a new one just like it, but with a chrome base (you know, to match our soon-to-be-snazzy new kitchen). Thanks, Waring, for keeping us in healthy, tasty breakfasts for another six years. Pour in cups (2-4, depending on serving size). Feel better about the day ahead. Note: We paid for our new blender -- no promise of compensation for this post. But Waring, if you're reading, I'm happy to be your next paid spokeperson for smoothie production. This post is for Brenna at Suburban Snapshots. She's trapped inside due to the "SNOWMAGEDDOPOCALYPSTROPHE" and has asked for a peek inside at some of the small treasures that make us happy. And by "treasures," she means objects -- because, of course, my children would be the most important small treasures in my home. Especially when they're napping. Ahem. Anywho, because I aspire to be as cool a blogger as Brenna, I'm shamelessly copying her polaroid-style photo collage with one of my own. 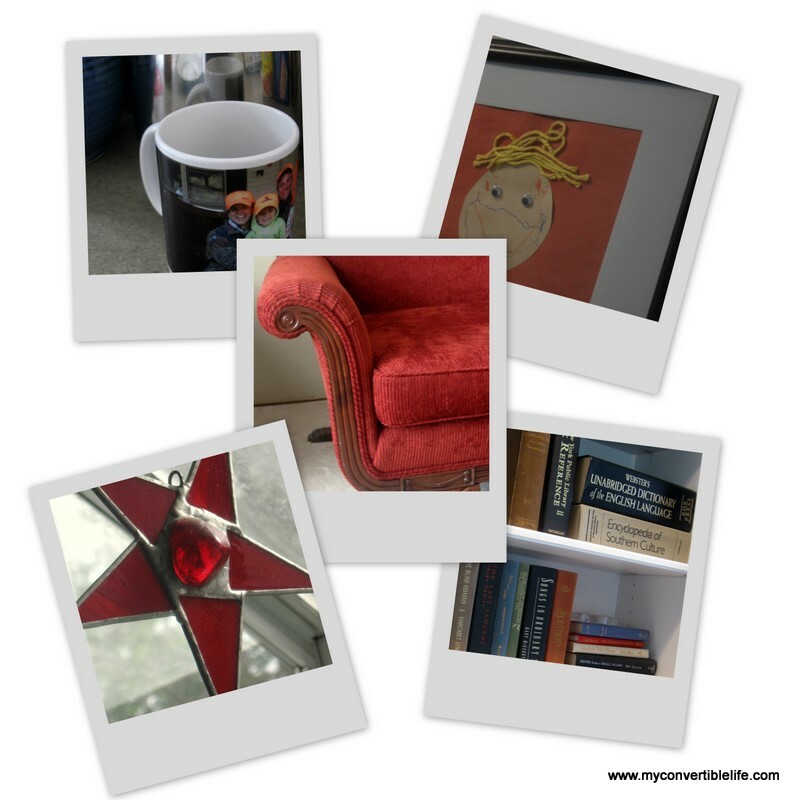 It was a little tricky finding my five items because so much of my stuff is packed away during the renovation, but here are some things in my house that make me happy. A mug from my friend B, featuring a photo of her beautiful family in camouflage. The joke is less funny when when I explain it, so trust me when I tell you this is hilarious. A framed piece of school art from Junius when he was three. It's a self-portrait, and the yarn does an admirable job of emulating his floufy hair. My grandmother's Duncan Phyfe sofa, which I had reupholstered in red corduroy. Perhaps not the expected fabric for an antique sofa, but I love the contrast. A glass star, one of three that hang in my kitchen window. They were gifts from my husband and make a lovely view to the backyard..
A sampling of my books, recently unpacked into our new shelves. I always feel better with my books around. And yes, two of those are dictionaries. When my brother and I were little, we were fast playmates -- until we started fighting, of course, but we always made up eventually. Legos, house, Star Wars, school, Battleship, cops-and-robbers, kick ball, we played it all. Part of what I love about having two kids is watching them play together and remembering those fun times from my own childhood. Now that my brother and I are (allegedly) grown-ups, we've found ourselves on very different paths. I did the more-or-less traditional college-job-grad school-marriage-job-babies route. My brother? Not so much. Only four years apart in age, but light years apart in other ways -- and yet we're still those same two playmates at heart, still able to make each other laugh. This week my younger (but now much taller) brother is starting out on a new path. It's his story to tell, not mine -- so we'll leave it at that. But I thought that with all the collective strength and positive energy (and prayers, if you say them) out there in the bloggy world, that maybe we could send him off with a powerful force of hope and light to guide his way. He's picked a much harder path than I did. But I'm trusting that his road-less-traveled strategy will pay off in the long run.